While on a hunt for elephant poachers in Namibia, a white female conservationist and a black lawyer fall for each other, despite the condemnation by the local community. Ken Elkin is a randy young man who is told that the world is about to end. In a race against time, there's only one goal he wants to accomplish: bedding the love of his life, who just happens to be the local pastor's daughter. Nell Tiscowitz is a struggling actress with an affinity for horses. She meets a wealthy rock music promoter and stable owner Digby Olsen. After Nell uses her 'telepathy' to help Digby tame horses, they eventually fall in love. After the start of WW2, a mother takes her children from Sydney to the countryside. As a child, a girl witnesses her father electrocute a young boy. When she grows into an adult, the ghost of the murdered boy appears to her, and together they set out to expose the crimes of her father. Bush boy Ralph plans to travel to the big smoky city, catch a flight to Nashville and bingo! A new country singer star is born. 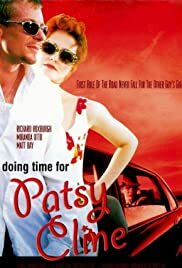 But, unfortunately for him, he meets up with fast talking Boyd and sweet Patsy. The law gets a whiff of them and the boys end up in a country jail, hence the title. For young Ralph this becomes an experience that will improve his country music lyrics about standard issues of prison, women and the hard life. A pleasant comedy that wobbles on its legs towards the end. Roxburgh excels as Boyd, helped with a fine script by Kennedy. The catchy song is a bonus.